I was inspired by my heritage to share the many health benefits of beans. For those that don’t know, I was actually born in Cuba and arrived in the United States when I was five years old. Though I left my home country at such a young age, I was still able to stay close to my roots because I grew up in Miami, FL. Miami is an extremely diverse city. There are many people from South and Central America, as well as, the Caribbean. The area of Miami that I grew up in has a predominantly Cuban population. I was fortunate to grow up in a city infused with Cuban culture and experience some of the things from my home country. 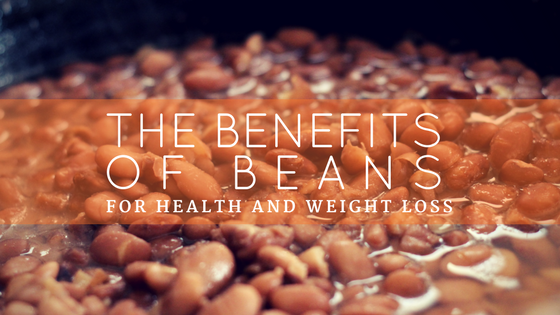 I first learned about the benefits of beans when I started my weight loss journey back in 2015. Beans are an important food in many countries because of their nutritional content. It is vital for health to include legumes in your daily diet. 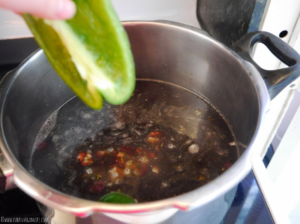 There are many different types of beans which can be prepared in infinite ways. Beans have always been a staple in my diet. Almost every Cuban dinner is not without white rice and black beans in some variation or another. In a city full of Hispanics, I’ve experienced a variety of cuisines from South and Central America and the Caribbean. Nearly all traditional cuisines include beans. 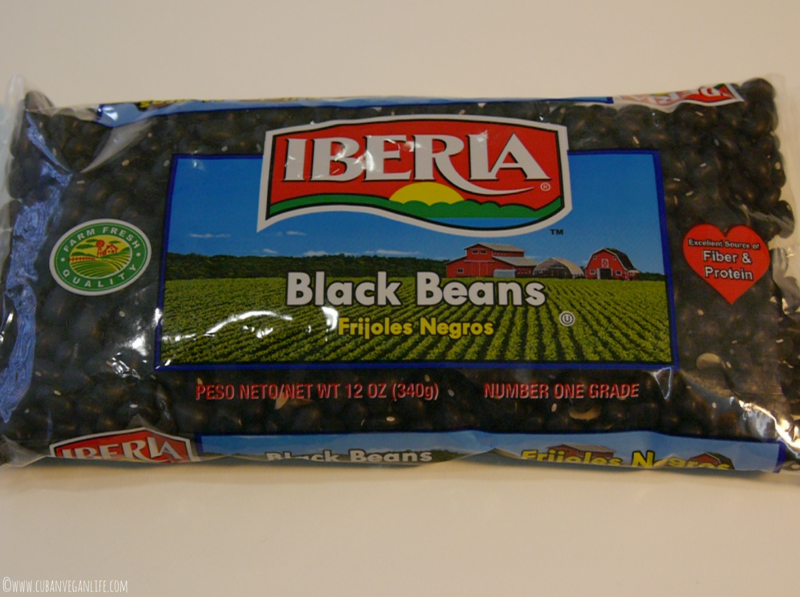 Some of the most common Latin recipes are black beans, small red beans, chickpeas, white beans, pigeon peas, green split peas, and lentils. The health benefits of beans are many. Below I have detailed the reasons why you should include them in your diet. Fiber is a very important element of a healthy diet. It is now well known that it is vital to our overall health and has a myriad of advantages. Some of these are the reduction of cholesterol, improved blood sugar control, and better digestive health and bowel movements. Fiber also maintains a healthy colon. It is recommended that women get 25 grams of fiber per day and men 38 grams. Most people only consume 15 grams a day. 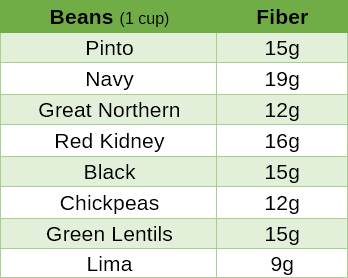 Beans are one of the many plant foods that contain a lot of healthy fiber! It’s unfair that beans have a bad reputation for causing gassiness and digestive problems. In fact, the fiber they contain, both soluble and insoluble, encourages your digestive system to run smoothly. Also, by slowing down digestion due to the bulky fiber, you stay full for a longer period of time. This also helps to inhibit constipation. Legumes are often accused of causing flatulence. Many times, the reason has to do with your body not being used to the amount of fiber. For example, the same gassiness appears when people begin introducing other types of fiber foods into their diets like whole grains or cruciferous vegetables. In most cases, the gas is gone after two or three weeks. 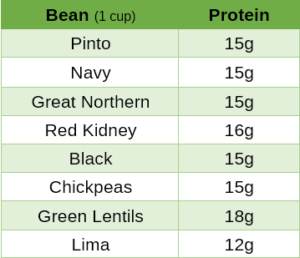 Beans are low in fat and high in protein and carbohydrates. Combine that with the fiber and you have a food that helps stabilize blood sugar levels efficiently. The carbohydrates get absorbed into the bloodstream at a much slower rate because of the fiber and protein. Studies indicate that beans can aid lower cholesterol levels. The Canadian Medical Journal published a study where they found that those eating at least 1 serving of beans, lentils, or peas, per day reduce their LDL cholesterol level by 5%. Additionally, the chance of developing cardiovascular disease was reduced to 5 to 6%. Beans keep your heart healthy. They are a great source of magnesium and potassium which are important nutrients for your heart. Magnesium helps your blood pressure regulation and supports nerve function. 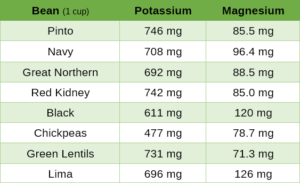 Additionally, potassium removes the surplus of sodium and water which also helps to reduce blood pressure. One of the benefits of reducing your cholesterol levels is that your chances of a heart attack are diminished. According to a research study published in the British Medical Journal where they studied the relationship between heart disease and cardiovascular disease and fiber intake, concluded that obtaining an additional 7 grams of fiber a day can lower risks of those diseases. Beans provide protection against certain types of cancer because of nutrients like saponins, phytochemicals, and antioxidants. Antioxidants protect our bodies against free radicals that can be very damaging to our cells. Several studies have found that women who eat beans or lentils are less likely to develop breast cancer. Also, found is that legumes lower incidence of colorectal polyps which is actually a harbinger of colon cancer and rectal cancer. Lastly, beans are a great source of protein. 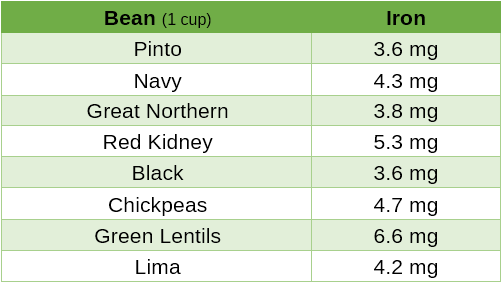 In many ways, legumes contain more nutritional benefit than meat. Along with protein, you are getting a ton of fiber, phytochemicals, antioxidants, and an array of micronutrients that you could not obtain from meat, dairy, or eggs. Additionally, you don’t have to worry about the saturated fats, mercury content, antibiotics, and growth hormones usually found in animal products. B vitamins are essential for health and vitality. They maintain and aid conversion of food to energy in your body, they boost HDL cholesterol and has a variety of functions in the body. Legumes also help reduce inflammation throughout your body. Lastly, beans are a great source of protein. 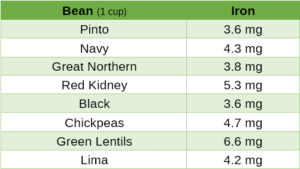 In many ways, legumes contain more nutritional benefits than meat. Along with protein, you are getting a ton of fiber, folate, phytochemicals, antioxidants, and other nutrients that you could not obtain from meat, dairy, or eggs. Additionally, you don’t have to worry about saturated fats, mercury content, antibiotics, and growth hormones usually found in animal products. When I was younger, I thought to eat healthily was expensive. Beans are super economical especially if you buy them dry. They are so versatile you can even make desserts out of them! With so many health benefits at such a low price, it’s a wonder why more people don’t consume dried beans. Prices of meat, dairy, and eggs go up every year, while the quality of commercial meat plummets. 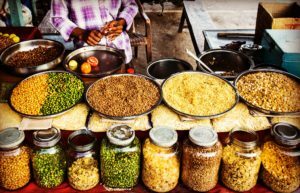 Beans and lentils are the perfect alternatives. Since going vegan my grocery bill has gone down significantly and it is largely due to the price of dried beans. 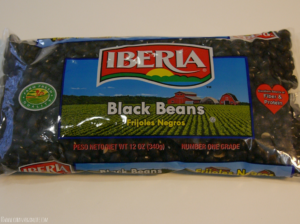 Last week I bought 12 oz bags of black beans for $0.58 at a small grocery store called Presidente. I bought four bags but wish I would have bought more! So, are beans good for you? Yes, they are! The more I learn about the benefits of beans, the more I’m motivated to eat them every day. Legumes are and always will be an important staple food in the human diet. Nearly all traditional cuisines use beans. I hope this post inspired you to try out some new bean recipes. How many ways can you incorporate beans into your daily diet?